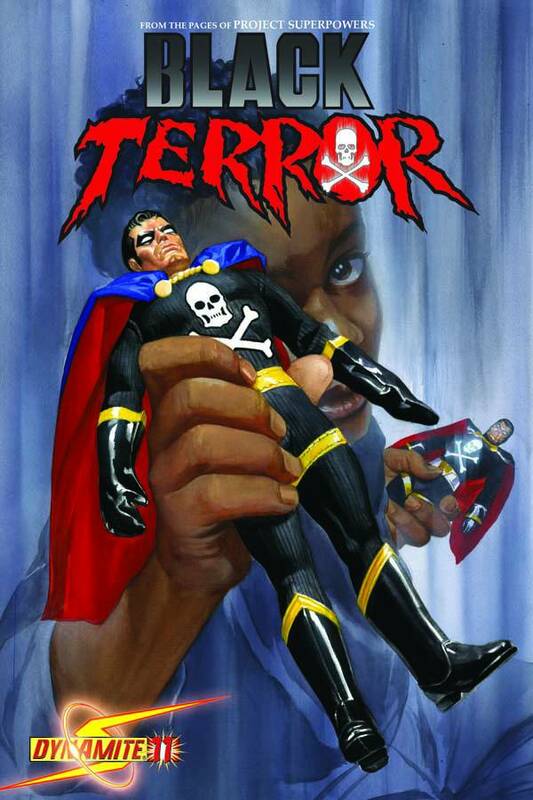 Check out the Black Terror #11 cover. Where can I get my Golden Age Black Terror Mego-style action figure?!?! I think that's the idea, and that's why I love it. And, being a child of the '70s, Mego figures are the greatest figures ever! Not exactly a cover I will be putting front and center of my collection. Last edited by Ranger01; 02-24-2010, 07:05 AM. I had a few of those figures too, I got them at a yard sale back in 1984 and I never really liked them due to their poor design, even back then I was a stickler for detail at only 4 years old. Ranger made a good point in his post as to what the cover represents, I'm thinking there is a reason why BT is portrayed as an action figure on the cover. Maybe some kind of a villain who has control powers who is controlling Terror as if he was an action figure.....? I wonder if this is more than just a nostalgic "throwback" ... perhaps a hint of things to come? EMCE Toys has been re-issuing the Mego Star Trek & Planet of The Apes figures for a while now, plus producing the all-new Night of The Living Dead figures in the "Mego Style". Maybe Dynamite has been talking to EMCE? EMCE is also working with Mattel on the new Retro-Action DC Super Heroes, which are essentially the DC side of the old Mego World's Greatest Super Heroes with some new characters Mego never released. They're awesome! A mego Black Terror would so Rock!